Greeted by the humid air of Jakarta. Yes, I'm finally home! After a very long flight, I'm so relieved I arrived home safe and sound without any struggle whatsoever. My flight made a transit in Taipei. There's no direct flight from San Fransisco to Jakarta. It was a three-hour stop, so not bad at all. Although I was starving at the Taipei airport but too lazy and tired to even bother to buy food. I spent the entire time watching my favorite youtubers' vlogs, thanks to excellent wifi connection. I did find something interesting in the Taipei airport. There were three prayer rooms near my departure gate - for Muslim, Buddhist and Christian. 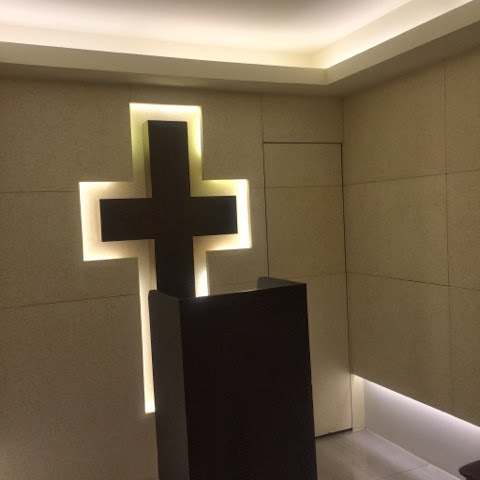 I've never really seen a prayer room in public place for Christian before. It took 5 hours from Taipei to Jakarta. About 10 minutes before the original scheduled arrival time, the captain announced there was a slight delay due to traffic at the Soekarno-Hatta airport, and they had to circle around for about half an hour. I was already anxious at that time. Thankfully, after I finally got off the plane, there was no line yet at the immigration. I went through and stuck waiting for luggage for more than 30 minutes. I was anxious that my luggage went missing or something. After all, it's been more than 2 years. 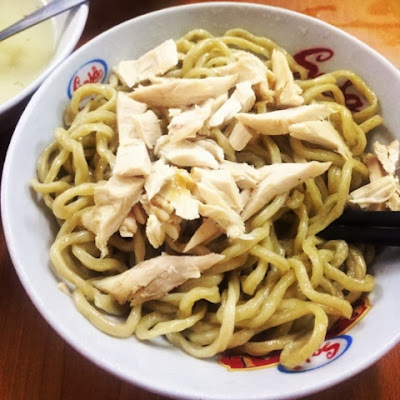 Anyway, the first food I ate is this Bakmi Karet, which literally means rubber noodle. I just love this type of noodle, and you can't really find anything like it in the US. Later today, my parents and I went to the mall. It's really the main entertainment in Jakarta. Okay, I can't speak for every single Jakartan, but I basically grew up in the mall. My house is just a 10-minute walk to the mall. Most of people I know here do their "gathering" at the mall. Lunch, dinner, shopping, hanging out, window shopping, killing time, releasing stress, going to the movie, or anything you can basically do it at the mall. I gotta admit. I do miss the malls in Jakarta. Mall in the Bay Area is nothing compare to the malls here. 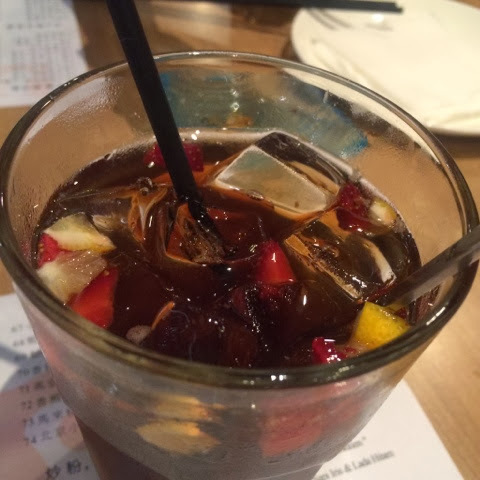 Yin Yang, a mocktail from the restaurant Duck King made from coke and syrup with some ingredients that I don't know and strawberries and lemon toppings on top. It is delicious. Here are a few random shots to give you a taste of what my hometown looks like.